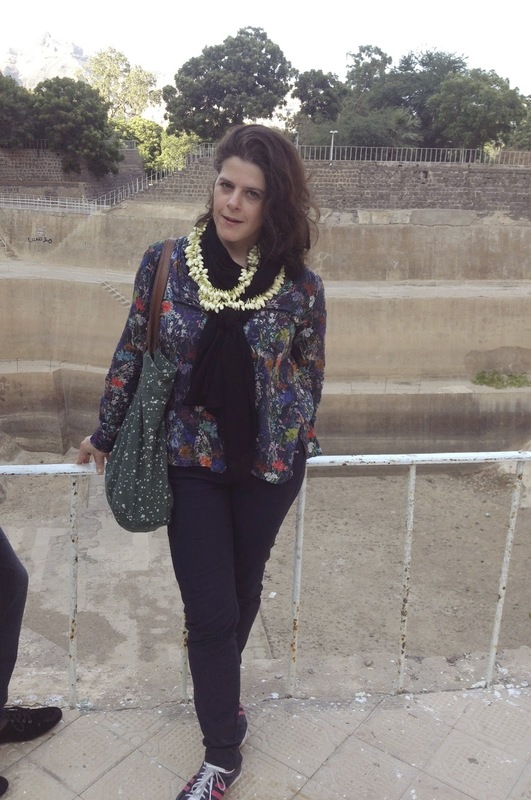 My blogs about my trip to Yemen have so far sought to describe the beauty, the warmth and the friendship of the place which many refer to as the cradle of civilisation. 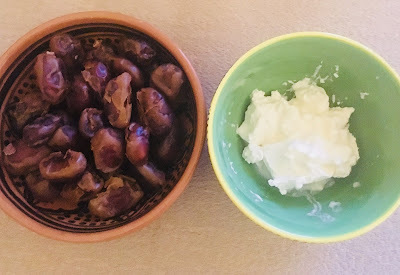 Indeed many in the Middle East trace their ancestry back to the country which is home to the most welcoming and hospitable of any people in the world. But as Ive hinted, there is a darker side to Yemen and in recent weeks, the security situation has deteriorated still further and it would now be even more dangerous for a westerner to travel there, particularly through Sanaa, which in September, was taken by the Houthis - a Shia group which during the summer led protests against rising fuel prices and a lack of representation in the Yemeni government. 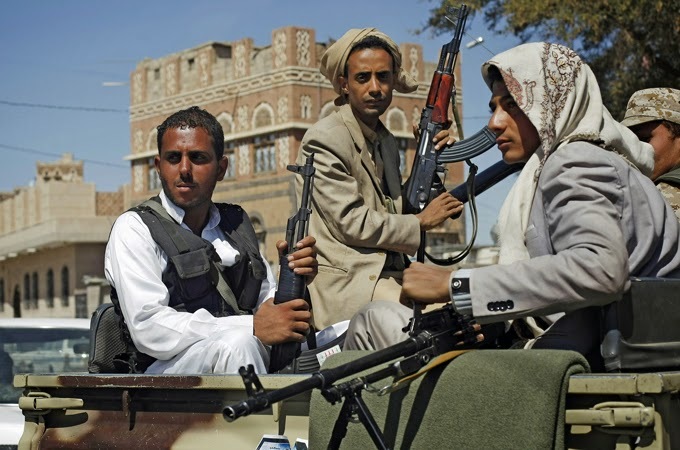 Clashes continue between the Houthis, the Government and Sunni Al Qaeda militants who are fighting back against the Houthis takeover. 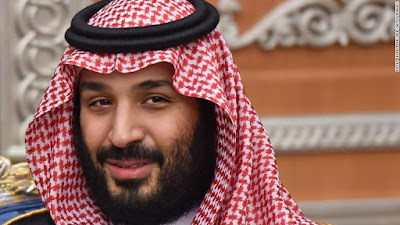 So far the trouble has been focused around Sanaa and the North but it is moving towards the south, with the capture of Al Bayda province, a Sunni stronghold, the Red Sea port of Hodeidah and Shia-populated Dhamar province. 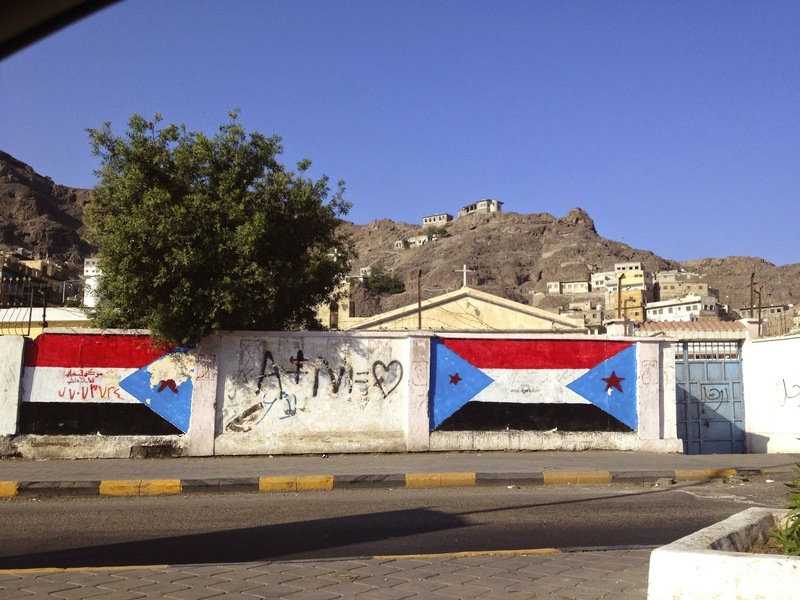 However, Al-Herak Al-Janoubi (The Southern Movement), whose flag is everywhere in Aden, see this destabilisation as an opportunity to re-energise their call for secession for the South and they have given a deadline of 30 November for any Northern Yemeni security and military forces to leave the South of the country. Almost all of the Yemenis I know come from a rural part of South Yemen called Yafea. This youtube video will give you a small insight into the music, culture, people and landscape of this fascinating part of the world. If you watch it you will see photos of people from Yafea past and present, illustrating how important guns are to their culture, from a very young age. So it was no surprise when one night in Aden we heard very loud gunfire in the street outside. The separatist movement often organise demonstrations, marches and protests about the ongoing political situation and their struggle for independence. And there was something planned for the Saturday I was there. Yazid would normally take part but on this occasion, he wanted to keep us out of danger. That being said, we still wanted to go out, but would avoid the late afternoon/evening when things would get busy and potentially dangerous. We went for a drive and all seemed quite, albeit a little tense and fewer people were on the streets than usual. 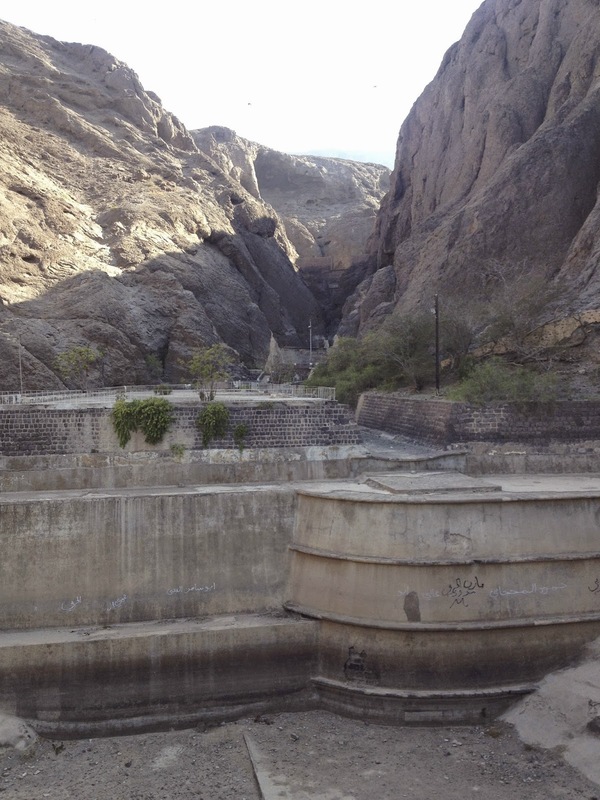 We drove to the amazing Aden Water Tanks, otherwise known as the Cisterns of Tawila, located in the oldest part of Aden, called Crater. They are exactly as the name suggests - a series of tanks designed to collect rain water and also stop the city flooding. There were originally 53 but were reduced to 13 during renovations partly by the British in 19th Century. The combined capacity is an incredible 19 million gallons. As the plaque at the tanks states, there is surprisingly little information about their original construction but they were thought to have been started more than 1500 years ago, in pre-Islamic times by the Himyarites who were known to have used water tanks in other areas. And the tanks were certainly mentioned in manuscripts dated 7th Century A.D. 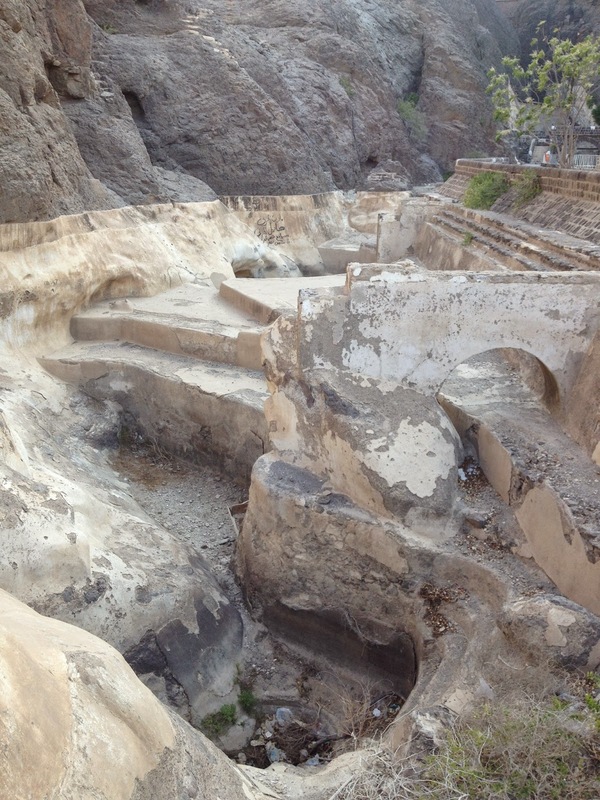 The tanks were hewn from the volcanic rocks and lined with a natural cement made from volcanic ash which gave the tanks an impermeability to retain water for lengthy periods. 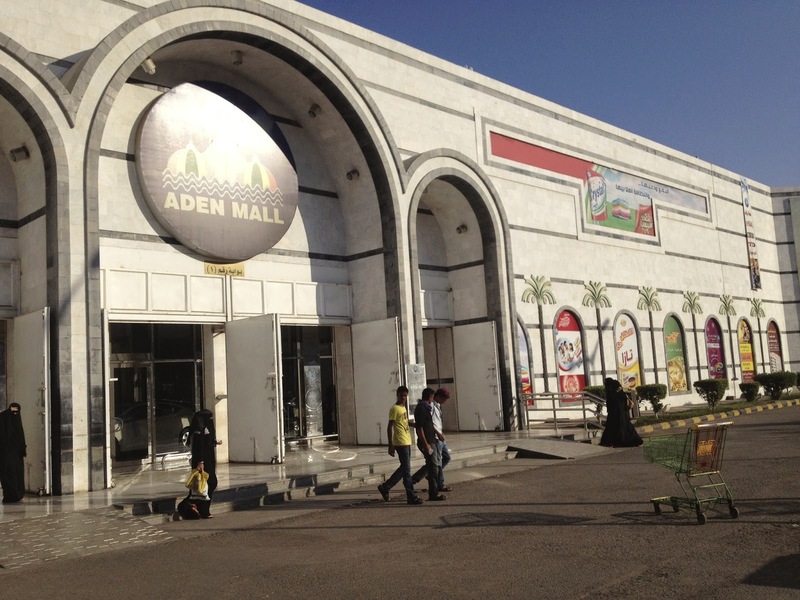 needed to go to Aden Mall to sort out Yazid's iPhone…. or more accurately, return the fake iPhone he'd been sold the day before to try and get his money back!! When we arrived at Aden Mall there were only one or two cars in the entire car park and most of the entrances to the Mall were closed. We managed to get inside and there was only a handful of people who were outnumbered by the police presence - most of whom were hanging around the coffee shop. Many of the shops had already closed for the day, anticipating potential trouble ahead. We headed to see if the phone shop was open and found the owner sitting in the corner relaxing, chewing ghat and when Yazid told him about the phone and asked for his money back, the guy just gave a half smile, told Yazid it was indeed a genuine iPhone and continued with his ghat. Yazid looked at me for support and I was getting angrier by the second. I held up my iPhone…. "This is an iPhone….. and this is not an iPhone" putting them side by side on the counter and making him look at the difference. He shrugged and wasn't too interested. My voice was getting louder and more insistent and Yazid looked nervous and seemed ready to accept he'd lost his money, which the guy said he no longer had! I think he was concerned about the situation escalating so we had no choice but to walk away. Its not as if you can go to the police or the trading standards!!! We headed to the coffee shop and Ahmed went to buy us coffee as he always did. I saw the police talk to him and it was clear from their body language that the situation wasn't good. Ahmed came back to us and said the police had advised us to leave but yazid wanted to stay a bit longer as we'd only just sat down. At which point we heard gunshots outside and we all realised that if we didn't leave immediately, it may be too late! So we made a dash for the car. We didn't see any signs of anything… all appeared calm but Ahmed drove at speed in the direction of home, with a few choice phrases sent in Yazid's direction!! He wasn't at all concerned... He turned up the stereo and started singing along with total abandon. I guess when you live in a state of perpetual danger, you tend to live each day as if it could be the last. Feeling rather the same, I joined in!! !